With the classic Jamaican combination of allspice, ginger, thyme and the fruity heat of habanero chiles, this Jerk Seasoning will add some Caribbean zing to your next barbecue. 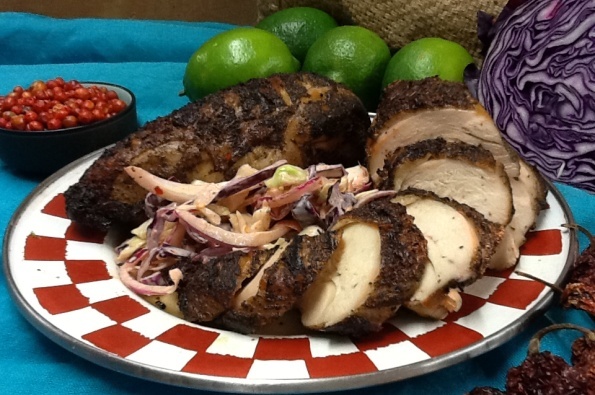 You can make a sensational marinade with our Jerk Seasoning by adding lime juice, coconut milk, or even rum! Can't wait that long? Just add a little salt and brown sugar and rub it on meat before grilling. Share how you like to use Jerk Seasoning!